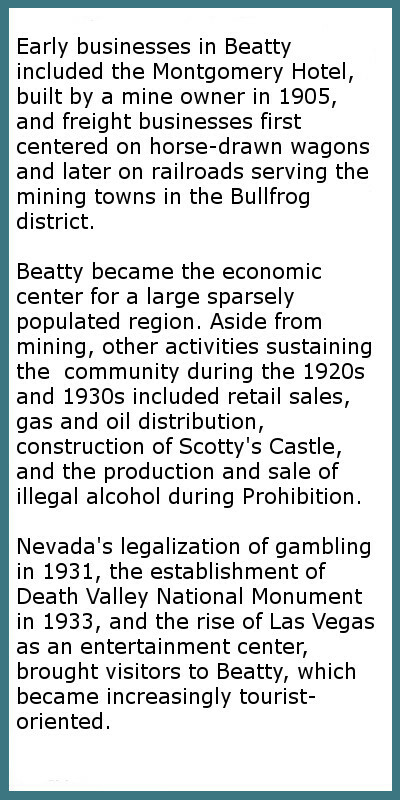 Beatty is a non incorporated town located on the Amargosa River in Nye County, Nevada. 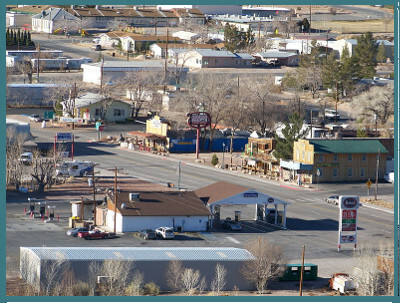 U.S. Route 95 and State Route 374 intersect in the middle of town making Beatty a convenient stop for travelers. Tonopah, the Nye County seat is about 90 miles to the north and Las Vegas about 120 miles to the southeast on Hwy 95. 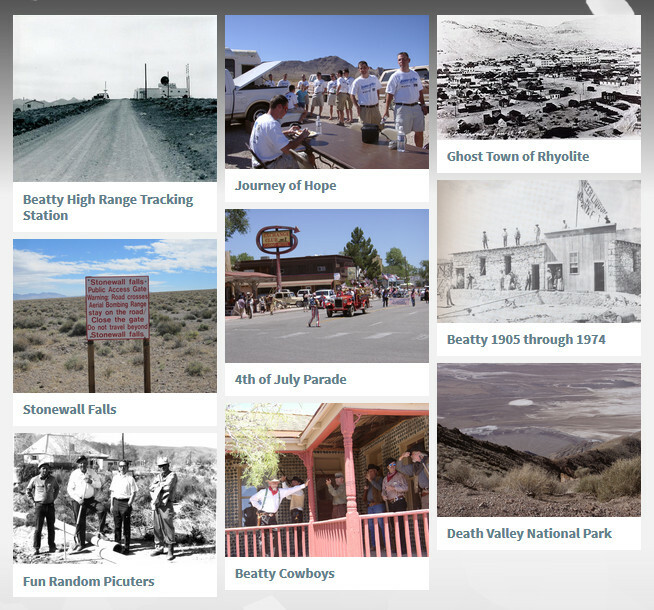 State Route 374 connects Beatty to Death Valley National Park, about 8 miles to the west. 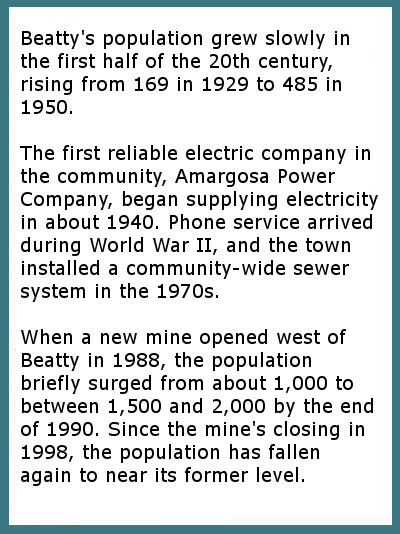 Wired telephone service numbers for the Beatty central office follow the format: (775) 553-xxxx. Beatty is located at 36.909337-N, 116.754531-W.